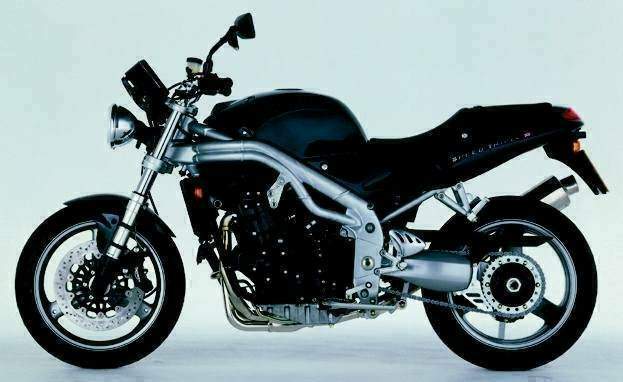 The sportsbike-quality chassis gives the 2002 Triple outstanding handling, although the sharp steering geometry, together with a short wheelbase and powerful engine can make the Speed Triple feel quite lively over bumps. The suspension is also rather firm for bumpy road comfort, although the brakes are very impressive, stopping the Triple quickly and accurately from speed. 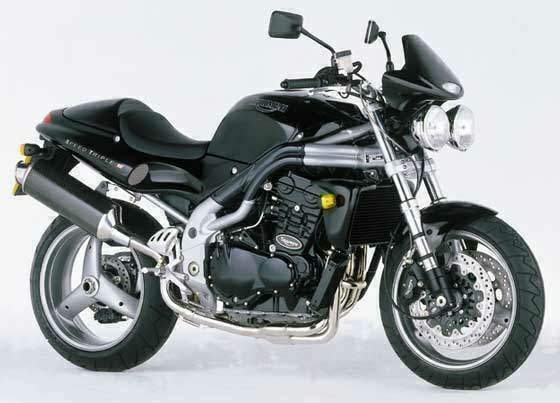 Few motorcycles stand out from the crowd quite like the Speed Triple. 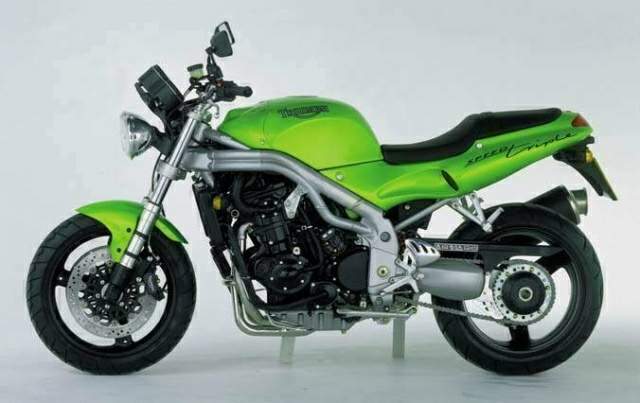 Its raw, aggressive styling, built around Triumph's distinctive 955cc three-cylinder engine, gives the bike a muscular streetfighter look that is perfectly matched by its explosive performance, sharp handling and awesome braking ability. The motor is based on the Daytona's 12-valve liquid-cooled unit, tuned for an even broader spread of midrange torque while still producing a maximum of 110PS (108bhp). The fuel-injected power plant gives the Speed Triple brutal acceleration from almost any engine speed, plus the ability to be ridden effortlessly with minimal use of the smooth-shifting six-speed gearbox. Excellent handling and stopping ability are assured by a blend of Daytona-derived tubular aluminum frame, fully-adjustable suspension components and top-quality brakes with four-piston front calipers. 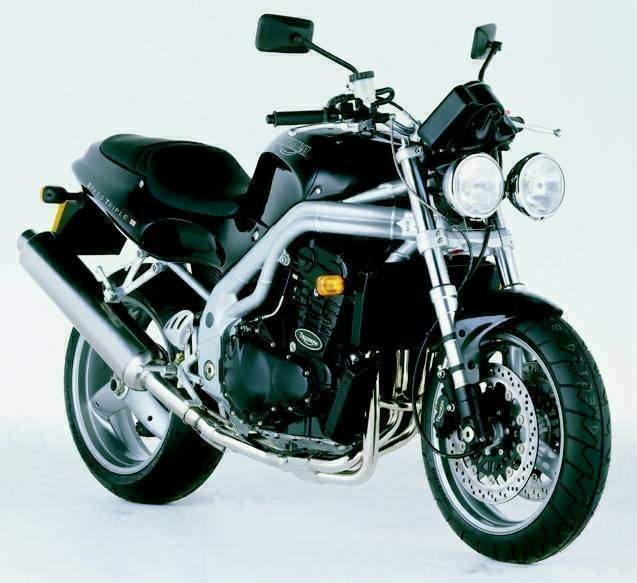 And like all Triumph's sports bikes, the Speed Triple is a comfortable, practical and well-constructed machine that excels in every situation from high-speed sports riding to city commuting. This year the Speed Triple comes in two vivid new color options, Neon Blue and Nuclear Red. Both are bold, unusual hues that perfectly complement the Speed Triple's extrovert personality.